Background? Can't remember where I got it..sorry. 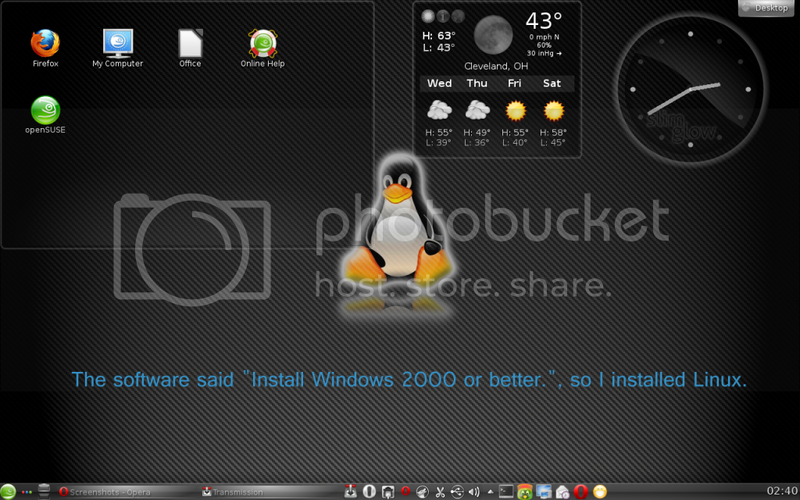 Sort of goofing around with 12.1 and KDE. I have not yet up-dated to the latest KDE version. 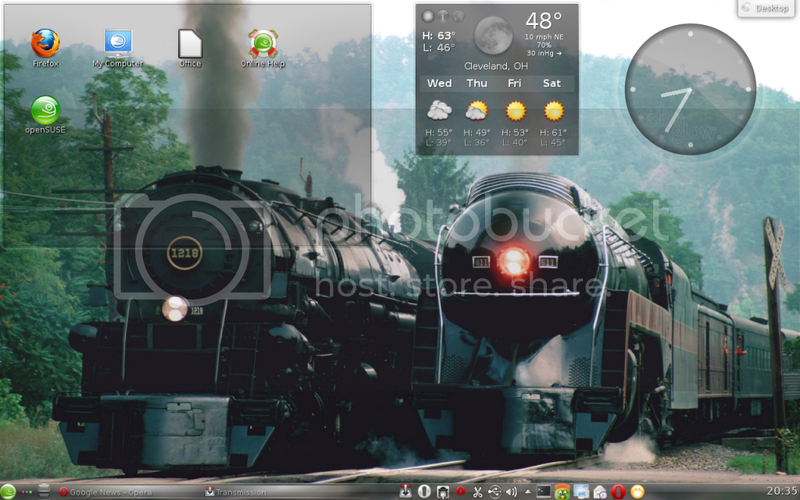 As I long time user of GNOME I sort of prefer KDE. Although it is all a matter of personal taste. Here is my desktop, which as always, is subject to change. A Linux Web Site, And A Linux Blog. All Linux! I've been there, and done that! Thanks. I am sort of getting back into SuSE. Nice screenshot. I like it. Be cool if the dock could be stretched so it looks like she's walking on it towards the boat!